kWh Analytics has structured its Solar Revenue Put for a portfolio of 4,000 residential systems totaling 35 MW-DC, insuring the long term production of the portfolio to ease investor’s worries. The insurance companies trust solar power enough to consistently offer real protection to big investors. This protection is a reflection of solar power’s probability of generating the volume of power that it is projected to produce. kWh Analytics has applied its Solar Put to a portfolio of 35 MW-DC worth of residential projects, averaging about 8.7 kW across the 4,000 units. For kWh Analytics, it is the first U.S residential portfolio financed with the support of the Solar Revenue Put. The group said that it has now structured its Solar Revenue Put credit enhancement on over $250 million of solar assets. The IGS Solar portfolio is being funded by a commitment from Ares EIF, the power and infrastructure strategy at global asset manager Ares Management, L.P., as well as a term loan commitment from ING Capital LLC, a financial services company. One way of describing this probability are the p50 and p90 values (which DNV GL gives a great explanation of). Recent portfolio offerings of securitized solar leases have begun to reference these ratings, and they are suggesting that solar power will far outperform their p50 and p90 ratings. For instance, a SunPower portfolio’s long term generation projections notes that its ‘A’ rating is based on a projected degradation of 1.02%/annum, while p50/p90 ratings project that SunPower’s degradation value will be 0.25%. kWh Analytics estimates that you will save up to 5¢ per watt on finance fees because of their guarantee to buy, yielding you a net profit relative to the cost of the insurance. This continued normalization of investing in solar power will offer more companies the opportunity to bundle packages for global investors who have far more money to invest than there is solar that can reasonably, financially be built right now. Originally posted on Reinsurance News. 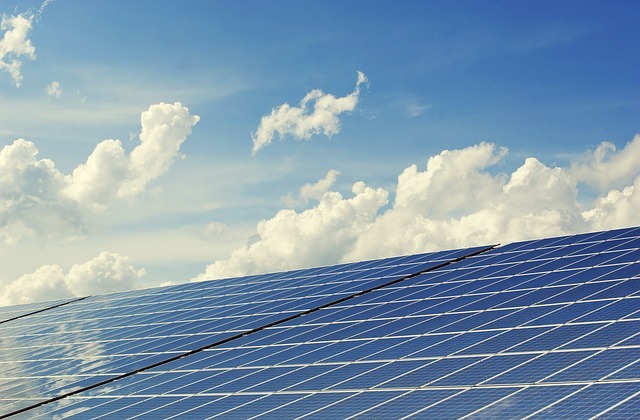 Swiss Re Corporate Solutions, the commercial insurance arm of global reinsurer Swiss Re, is to provide risk capacity for a 35MW Solar Revenue Put structured by solar risk management provider kWh Analytics. The deal relates to a portfolio of 4,000 projects located in the Northeast U.S. that are being developed and managed by IGS Solar, a residential and commercial solar provider. It is the first U.S residential portfolio financed with the support of the Solar Revenue Put and kWh Analytics said that it has now structured its Solar Revenue Put credit enhancement on over $250 million of solar assets. The Solar Revenue Put was developed by kWh Analytics to act as insurance policy on solar production and revenues, serving as a credit enhancement for financial investors and accelerating the growth of the solar industry. In September, Swiss Re Corporate Solutions also provided risk capacity for a separate Solar Revenue Put structured by kWh Analytics, which related to 50MW of solar farms in Oregon, owned by GCL New Energy. The Solar Revenue Put has been utilised for portfolios ranging from thousands of residential rooftops to more than ten utility-scale plants, and a recent survey revealed that more than 40% of active lenders value the Put as a credit enhancement. Marathon Capital acted as exclusive financial adviser to IGS for the Solar Revenue Put transaction. A tool designed as an insurance policy for solar-power generation will be used to manage the risk associated with U.S. residential systems for the first time as part of a financing agreement backing 4,000 projects in the Northeast. Investment in the 35 megawatts of capacity being developed by IGS Energy’s solar unit will be partly protected by KWh Analytics’ “solar-revenue put,” according to the statement Thursday by the San Francisco-based risk-management software company. Solar farms have previously obtained the put, which can guarantee as much as 95 percent of expected output. It can be used to help solar investors reduce their cost of capital, leading to better financing terms. IGS is both developing and managing the portfolio, which is being backed by funds managed by Ares Management LP. Swiss Re AG is backing the insurance product. Terms weren’t disclosed. This “demonstrates that this product works for utility-scale as well as residential,” Richard Matsui, KWh’s chief executive officer, said in an interview. KWh has structured the put on more than $250 million of solar assets, according to a separate statement Thursday. An Ares EIF-backed residential solar portfolio has closed financing with a term loan from ING Capital and a solar revenue put with Swiss Re. kWh Analytics structured the solar revenue put, which backs a 35 MW (dc) residential solar portfolio that comprises 4,000 projects in the U.S. northeast. Marathon Capital was the exclusive financial advisor to IGS Solar, the developer behind the portfolio. This is the first U.S. residential portfolio financed with the support of a solar revenue put, according to an announcement from kWh. Solar portfolios supported by a revenue put are able to line up debt packages that are 10% larger on average, the press release said. “The Solar Revenue Put represents a new, multi-billion dollar insurtech category,” he added. Originally posted on Business Wire. SAN FRANCISCO – kWh Analytics, the market leader in solar risk management, announced today that it has structured its Solar Revenue Put credit enhancement on over $250 million of solar assets. Rapid adoption of the Solar Revenue Put is improving the economics of solar power and accelerating the growth of the solar industry. The Solar Revenue Put has emerged as a powerful tool that enables acquisitive solar investors to win more competitive bids by reducing their cost of capital. The Solar Revenue Put has been incorporated into a variety of project financings, ranging from thousands of residential rooftop power plants to centralized utility-scale solar farms. Both refinancing and “new build” financing have been supported by the Put. According to a recent survey of the 50 most active solar lenders (the “Solar Lendscape”), more than 40% of these lenders are now underwriting the Solar Revenue Put as a credit enhancement. Project financings supported by the Put are securing approximately 10% more debt. Using its proprietary actuarial model and risk management software (“HelioStats”), kWh Analytics developed the Solar Revenue Put, a credit enhancement for solar investors, to drive down investment risk and encourage development of clean, low-cost solar energy. Solar Revenue Puts are now set to guarantee production of more than 3 TWh of solar electricity, enough electricity to power every home in America for a day. kWh Analytics is the market leader in solar risk management. By leveraging the most comprehensive performance database of solar projects in the United States (20% of the U.S. market) and the strength of the global insurance markets, kWh Analytics’ customers are able to minimize risk and increase equity returns of their projects or portfolios. kWh Analytics also provides HelioStats risk management software to leading project finance investors in the solar market. kWh Analytics is backed by Anthemis, a leading fintech venture capital firm, ENGIE New Ventures, the venture arm of France’s largest energy company, and the US Department of Energy. For more information about kWh Analytics, please visit: www.kwhanalytics.com or follow us on Twitter @kwhanalytics. Originally posted on Smart Electric Power Alliance (SEPA). Two months ago at the Global Climate Action Summit in San Francisco, decarbonization captured most of the headlines—and for good reason. California Gov. Jerry Brown and former New York City Mayor Michael Bloomberg announced that state, local and business leadership is driving the United States toward its 2025 goals for the United Nations’ Paris climate accord, despite President Donald Trump’s withdrawal from the agreement. The campaign against climate change is gaining momentum. Meanwhile, at an affiliated event called Gridvolution, several sessions focused on distributed energy resources, including the Orange Button Initiative, a collaborative effort to drive down project soft costs by establishing a standard format for reporting and collecting project data. The U.S. Department of Energy launched the initiative in 2016 with the goal of creating an industry-wide standard similar to the Green Button standard for streamlining consumers’ access to their energy use data. Led by SunSpec Alliance, the creators of the Gridvolution forum and a principal Orange Button sponsor, the event had no grand proclamations; instead initiative stakeholders rolled out a powerful new set of software tools for solar financiers, project developers and asset managers. The message here: an electric grid evolution, a “gridvolution,” is gathering speed, as well. Key takeaways from the event: Moving beyond initial development of the standard, software developers are now major players in the multiplication and sophistication of its potential applications. And, from an initial group of four sponsors, Orange Button has expanded to include 350 companies and more than 1,000 individuals as active participants. Still, over the past two years, much of the work on Orange Button has taken place behind the scenes. Initially, sponsors partnered with financiers such as Wells Fargo and asset managers such as sPower to demonstrate market demand for the standard, also reaching out to software companies large and small to help identify and shape cost-saving solutions. More recently, the project has entered a new phase, as noted, with software developers delivering the lines of code and functional tools to significantly cut costs on data collection and management for the people who build and invest in solar projects. The Orange Button data standard itself is an open-source system for codifying solar project data and automating data exchange during project assessments, permitting, financing, interconnection, and other stages of the project lifecycle. Reflecting the complexity and granularity of the information involved, the initial release of the standard — Orange Button 1.0 — contains about 4,200 data fields. Access Orange Button 1.0 at the SunSpec Alliance website. Soon after releasing version 1.0, members of the Orange Button workgroup set their sights on adding project documents to the standard’s open-source, digital library, starting with manufacturer data sheets. Also known as spec sheets or cut sheets, a data sheet reports a product’s key specifications, including dimensions, electrical characteristics, and third-party certifications. Adding data sheets to Orange Button enabled inverter manufacturers to report compliance with California’s newly revised interconnection standard, Rule 21, highlighting one of many use cases. More recently, kWh Analytics introduced Orange Button Translate, software that takes proprietary project data and converts it to the Orange Button standard, moving the market one step closer to deploying data interoperability at scale. When the Department of Energy launched the the Orange Button Initiative with a grant in 2016, inefficient data gathering and management practices were slowing market growth. Some financiers reported spending hundreds of dollars an hour for lawyers to review project agreements and tens of thousands of dollars on due diligence before they could finalize projects. Data standards improve growth potential for everyone. As an open-source software project, Orange Button has continually raised the bar on information technology (IT) capabilities throughout the industry. One benefit, asset managers no longer have to expend resources creating proprietary systems for tracking and reporting on solar performance evaluations. They can use the classification system in the Orange Button standard, which was developed by a team of industry experts, including a performance engineering manager at sPower, the largest private owner of operating solar assets in the US. In July, California updated the smart inverter requirements in its Rule 21 interconnection regulations, ordering grid-tied inverters to activate more of their built-in grid-stabilizing features. Without data standards, rule changes like this can create inefficient processes for many organizations. Inverter makers would have to produce new versions of their product data sheets, and utilities responsible for grid interconnection would have to collect the updated data sheets and enter the compliance information into their IT systems. With the Orange Button data standard, inverter makers can streamline compliance reporting, which simplifies data collection for utilities. In fact, Orange Button makes it possible to reduce data collection costs by making data sheets and other project documents machine readable. Clean Power Research has demonstrated this capability by using Orange Button data to report an updated list of Rule 21-compliant solar equipment to California utilities. One of the biggest anticipated barriers to adoption of the Orange Button standard is migrating legacy data to Orange Button data. kWh Analytics has taken the first step toward solving for this problem with the release of Orange Button Translate. This publicly available, proof-of-concept software allows users to fill in Excel spreadsheets with production data, solar array metadata, and solar system metadata, then upload the data to generate Orange Button-compatible files. Looking ahead, software developers are continually working to improve the Orange Button data standard through public and online meetings of the Orange Button workgroup, and occasional in-person programming sessions. SunSpec Alliance hosted the latest active coding session, or hackathon, Nov. 7-8 at its offices in San Jose. The event served as a kickoff for the Orange Button core library, a set of programming files that will be included in all implementations of Orange Button software.